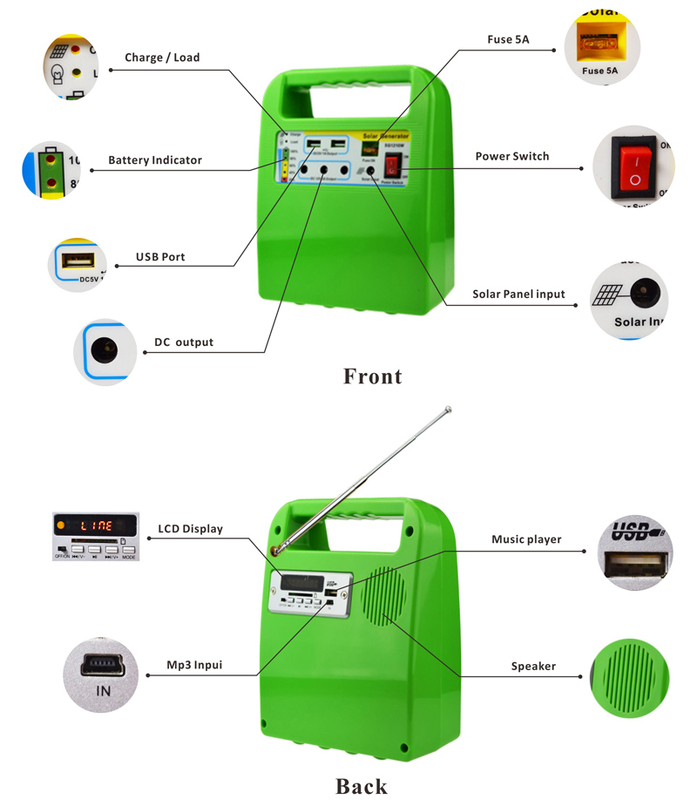 Solar household power supply system is integrated machine designed for independent solar power supply, this section has abattery and the charging and discharging controller, inverters, Mp3 player and radio functions, output interface design as one chassis. Compatibility is good, stable performance, high photoelectric conversion efficiency, safety and reliability, easy installation, beautiful appearance, no longer worry about wiring difficulty as well as installation complexity, is a high-quality solar independent power supply products. 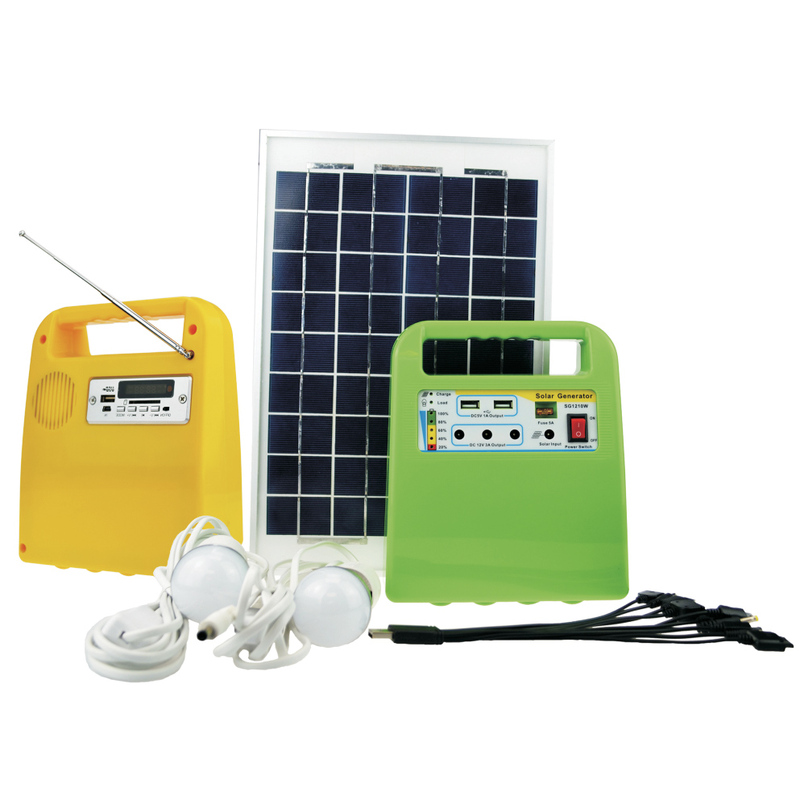 Funciton: Household lighting power supply, outdoor emergency power, MP3 player, radio, mobile phones and other DC powered equipment. Chassis Material: plastic. Appearance of a variety of colors, can also be customized upon request. Supply power for mobile phones, MP3 players and other 5V electronic equipments.